← Tantric Ritual: the Goddess gap? 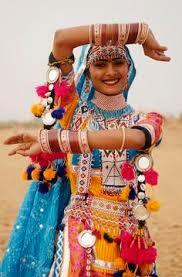 If there is one place I want to visit in India it is Rajasthan. This desire is strange, in a way, as my Yogic tendencies would suggest places like Rishikesh are more to my liking, but, no, I have always been fascinated by Rajasthan. And recently I have discovered why. 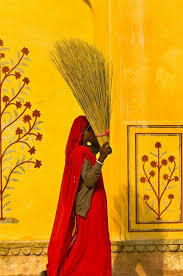 Rajasthan has two longstanding and fascinating ancient traditions: the existence and cultivation of an elevated, literary clan of poets (sacred bards called ‘Caranas’); and the existence and cultivation of living goddesses within this clan. Yes, that’s right. Not the past goddesses of folk tales but living goddesses. So, if you are like me—both a writer and an explorer of the divine feminine—Rajasthan feels like a colourful treasure box filled with ancient mysteries. This is especially interesting because the social structure of Rajasthan is based on patrimony, meaning all inheritance goes from father to son. This is, unfortunately, still a standard in some traditional societies, and in Rajasthan this practice continues as a succession of warrior clans not that different from, let’s say, those of old Scotland. However, there are two absolutely fascinating exceptions. One is that, unlike in all other places in the world, Rajasthan’s bards (poets) are not poor travelling entertainers selling praise or a poem for a meal but are a well-established, tax-free class—a caste of sedentary literati with their own vast lands and who have great political and moral influence on the ruling classes. Indeed, not only are they respected and wealthy ‘Fame-spreaders’ of the rulers, as scholars claim, they are also the rulers’ ‘Truth-tellers’. Their position is so strong that in their poems and songs they can openly criticise any unjust ruler and point out his (the rulers are all male) transgressions, but also if the ruler does not correct his ways, the Caranas can publically harm themselves as a testament to the truth of their accusations, and thereby they can either force the particular ruler to correct his behaviour or they can even create an uprising. 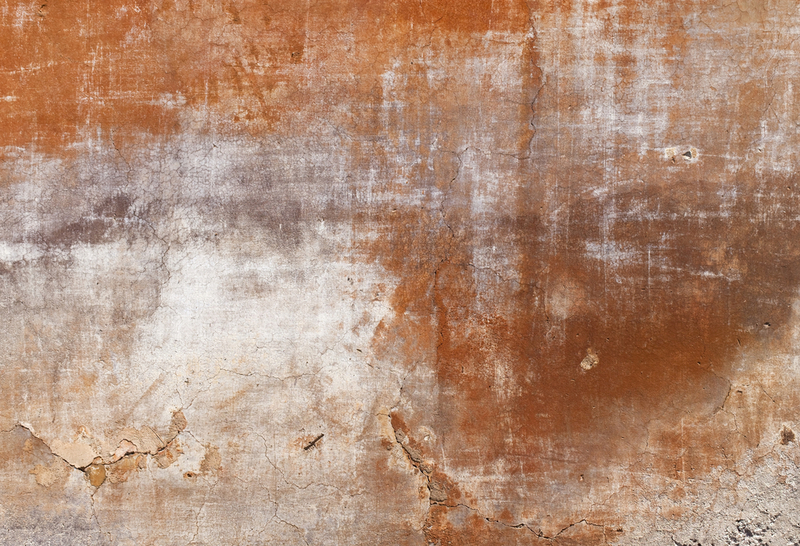 It’s nice, you might say, that some poets are wealthy and exercise political power—but what does this have to do with the Divine Feminine and living goddesses? After all, the Caranas are all male and, as I mentioned above, the rulers (and warriors) are men too. So where are the goddesses and where is the Divine Feminine? This is an excellent question. Scholars such as Max Harcourt started to ask themselves why these bards from the Caranas caste were so powerful. Because it certainly wasn’t due to any unusual appreciation of their poetic gifts! There was one very specific reason why their position was so strong in society. As Harcourt puts it, as a caste they were ‘standing in a unique relationship to Devi’. Devi in Sanskrit means ‘Goddess’, or even ‘Heavenly Goddess’. Thus, the importance of the bard caste came from their special relationship with a feminine deity no king or warrior would think it wise to upset. 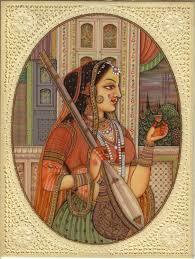 The content of the bards’ poetry was made of Devi’s very words. Devi in most forms of Hinduism is known as ‘Shakti’, which is the closest representation of the Divine Feminine. Shakti Devi is not just some goddess. She is, as I have already mentioned in my blogs on Tantra, the Creative Power of the Universe. She is the first active thought, the first emotion, the first creation. In terms of modern physics, she is the all-pertaining Energy, the pulse of the Universe, the ‘stuff’ without which the Universe would disappear. Nothing exists without Her. Okay, there are other goddesses who personify different aspects of Her (e.g. 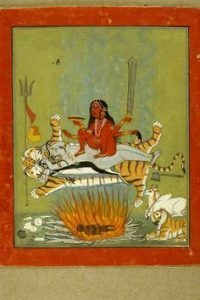 Saraswati, Lakshmi, Kali, etc.) but Shakti Devi is the underlying pulse and source of all of them. Each of them is a particular manifestation of Shakti, a snapshot of Her, so to speak. They are all Her. So how did it come about, you may ask, that the Caranas got into this special relationship with the Super Goddess that is Shakti? The answer, as is often the case in religious stories, comes from mythology. Long, long ago, say the Caranas of Rajasthan, there was one bard who was so devoted to Shakti that he never left Her side. Now, you can understand that She had other things to do, and so She wanted him to watch over the unruly kings and teach them lessons when they misbehaved. Mindful of the bard’s attachment to Her, She promised that from that moment on She would manifest Herself in all the living women of the Caranas caste. Now this is where I really get excited! Imagine: every woman in the Caranas caste of bards is a potential goddess. And if you consider this from the point of view of a man from the caste, he could just never know which of the women he knew would turn out to be a living goddess, right? I really wonder why no one else has thought of this before! Irrespective of whether a woman belongs to one or other category, she is the only person who decides whether she actually carries the Goddess within, in the limited or unlimited manifestation. This essentially means that it is the woman herself who can claim her own divinity and divine calling. This is quite different from the tradition of living goddesses in Nepal, for example, where it is the father of a young girl who decides whether she is a goddess (and which elevates him to a privileged position) or not. Frankly, this is a rather convenient way for these men to elevate themselves. There are some disadvantages to being a goddess incarnated. There is the life of celibacy, which would discourage some of us. But there are rewards. For example, as a goddess you are free of all societal constraints related to being a woman in a patrimonial social order. You don’t have to listen to anyone, you can choose to participate in all the functions previously available only to men, such as taking part in public affairs, for example. In fact, you can choose to dress as a man while performing your goddess duties, which involve providing counsel and healing. If you are the unlimited manifestation of the Goddess, you can actively participate in politics, can give counsel to political leaders and kings, and can bring peaceful resolution between fighting kingdoms and clans—in addition to your healing and general counselling. In fact, in times of strife, they come to you for resolution. Some of the most revered unlimited incarnations of the Goddess have their own temples. One of them is also famous for slaying a tyrannical ruler herself. 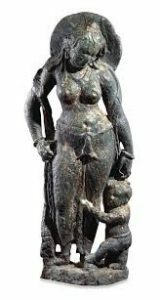 Thus, as Harcourt and other scholars say, the unlimited incarnation of the Goddess manifests both ‘the terrible and the benign’ aspects of the Goddess. I think it is a very timely reminder that we (women, men and everyone) are all divine beings, that we carry within us the divine seeds and potential, and that we do not need to wait for anyone to tell us this. We are the ones who can make this call for ourselves and take the responsibility of making the call. The responsibility to stay awake, not to listen to social conditioning, and to stay connected with all our might to our highest truth, our highest connection, our highest love, regardless of what anyone thinks. This is an act of constant remembering—that we are more than just our physicality, our physical and material needs, that we are more than our survival, that we have a responsibility to take care of the divine possibility within because, I believe, this is our highest function. 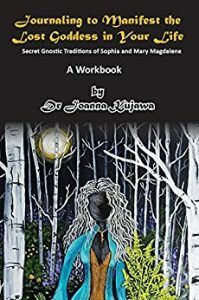 On a personal note, for those of you who have not heard yet, I have produced a small journaling workbook, Manifest the Lost Goddess in Your Life, based on the Gnostic traditions of Sophia and Mary Magdalene. If you are interested, I created this workbook in answer to two important questions that I have asked myself: 1) How can I help people in a practical and simple way with the knowledge of gnostic teachings and my obsession with Mary Magdalene? and 2) How can we get unstuck by using structured journaling? for a printout of a pdf file to start working on it immediately. The AUD$5 price is to recover production costs. This entry was posted in Goddess News and tagged Devi, Dr Joanna Kujawa, Goddess, Goddesses, Hindu goddesses, living goddesses, Rajasthan, Shaktu, spiritual blog, spiritual blogger, spiritual experience. Bookmark the permalink. Thank you so much goddess! Stand up and say, ‘I have a goddess within me’ and this will change everything I totally believe it x.